Security forces have been put on high alert after an abandoned bag containing army fatigues was found in Pathankot, a police official said. Punjab Police and the army had launched a search operation earlier in the day after the haul and nearly 150 security personnel were deployed. Personnel from the Special Weapons and Tactics -- an elite commando force of Punjab police -- also participated in the five-hour long operation. "Nothing alarming has come to light so far. But we are still verifying," Punjab Police IG, Border Range (Amritsar), Naunihal Singh said. 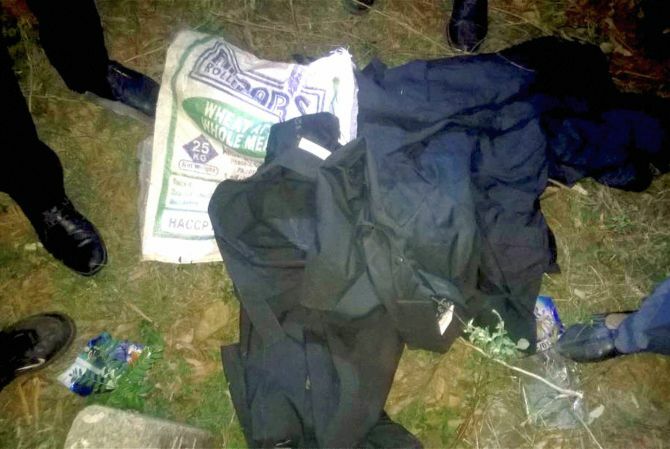 On Sunday, a local resident had informed the police about the bag following which the search operation was conducted in Pathankot city and Mamoon Cantonment. "Five shirts and two trousers were found in a wheat flour bag at a secluded place near the Defence Road here," a police official said. "The olive green dress was made between 2009 and 2012," Pathankot SSP Vivek Sheel Soni said, adding a search operation along with army was conducted. Security was also tightened in and around the city, police said. In 2015, three heavily-armed terrorists wearing army fatigues, had hijacked a car and stormed a police station in Dinanagar town of Gurdaspur district. They killed seven persons, including a Superintendent of Police, before they were gunned down. Last year, four terrorists who had sneaked in from across the border had attacked the Pathankot Air Base on the intervening night of January 1 and 2, claiming the lives of seven security personnel. 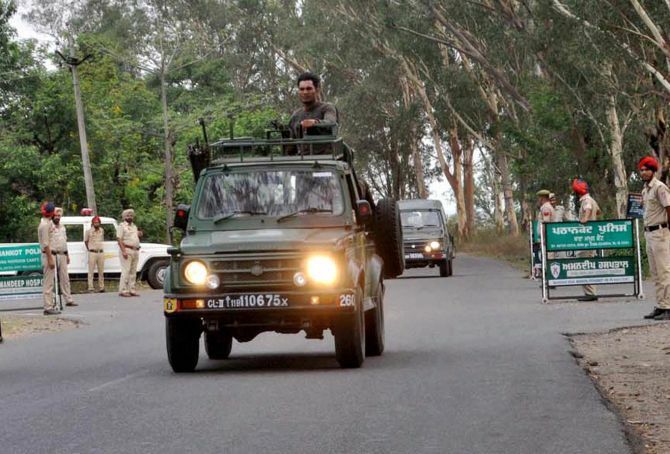 Earlier this month, massive search operations were conducted in Pathankot and Gurdaspur districts to hunt down three suspicious men who had gone missing after abandoning a stolen SUV at a village. Meanwhile, the Gurdaspur police got four customised armoured vehicles. These have been deployed around the border areas. "We have got four bullet-proof vehicles which have been stationed at Dorangla and Behrampur police stations," said Gurdaspur SSP Bhupinderjit Singh. He said the district police is on alert as the anniversary of Operation Bluestar is on June 6. Gurdaspur and Pathankot districts share border with Pakistan.